It's been a crazy winter of extremes through much of the United States. 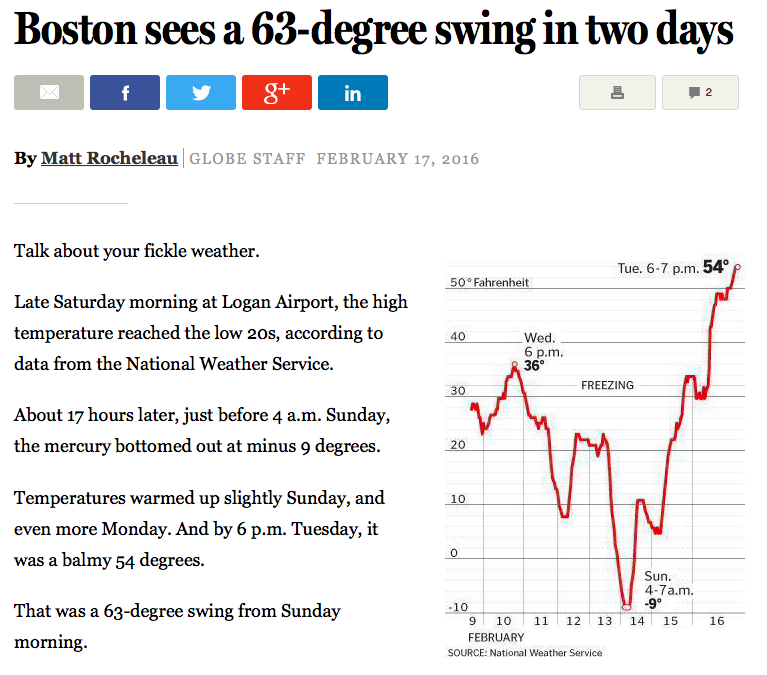 Here's an article, from the February 17, 2016 Boston Globe Newspaper by Matt Rochereau, with the degree swing whited out. 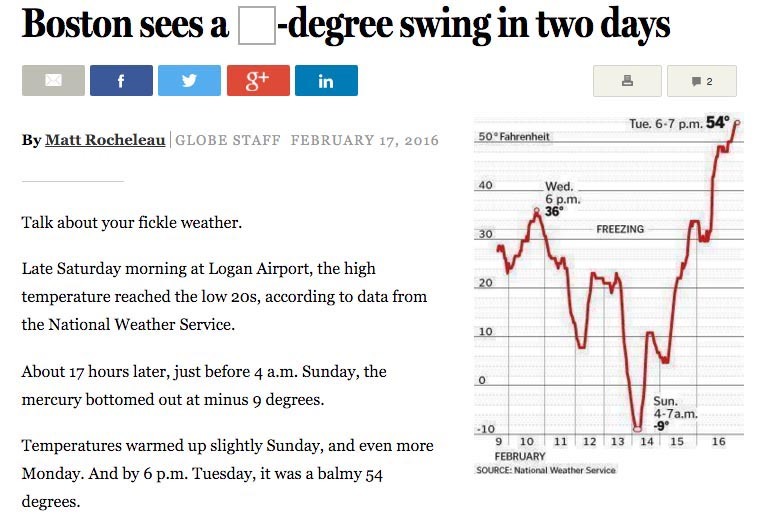 Have your students determine the temperature increase over those two days. 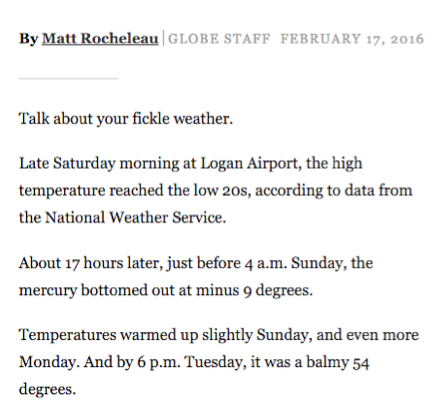 First you might show students only the text of the article. Let them think a little, then talk a little. Then show them the graph with the text. Let them determine and discuss the temperature change as a class. After your students have reached some conclusions show the article link below showing the original number. Follow up question: If a student found an incorrect temperature change, what mistake did they most likely make? How could you draw a diagram to help other students see the correct increase (horizontal and vertical number lines)? One more question you could ask ... What other temperatures could the low and high points have been to result in the same temperature swing? ← How much snow is that?